Ships tomorrow if you order in the next 21 hours 11 minutes. The health of your bones is important at every age, and is dependent on minerals like calcium and magnesium. These minerals can be found in many foods, but need to be replenished. They're also two of the top nutrient deficiencies in the human body. 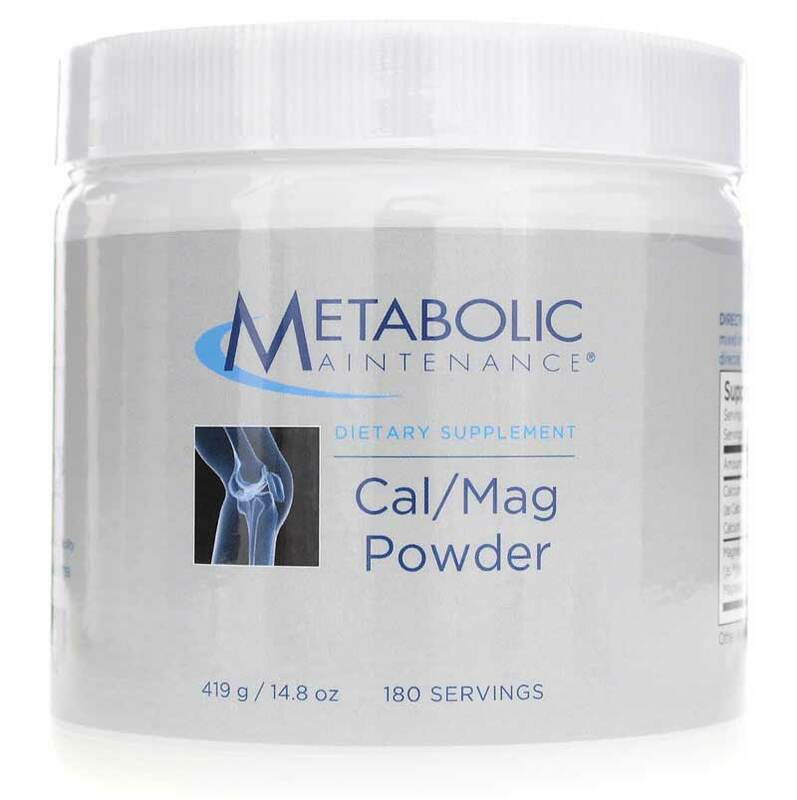 Cal/Mag Powder from Metabolic Maintenance supports the optimal formation, strength, and overall health of your bones by delivering 333mg of calcium and 167mg of magnesium in every serving of a half teaspoon. Just mix one half teaspoon into water or your favorite juice every day and you can be on your way to stronger, healthier bones and an improved quality of life. Give Cal/Mag Powder from Metabolic Maintenance a try today and see the difference it can make in your overall health and wellness! 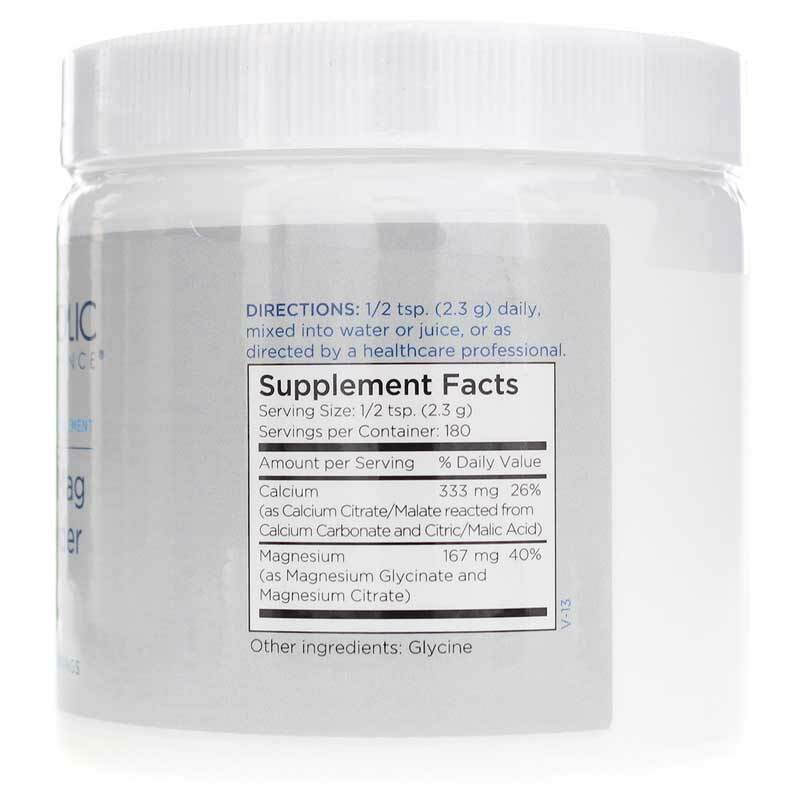 Adults: 1/2 teaspoon (2.3g) daily mixed into water or juice, as a dietary supplement, or as recommended by a healthcare professional.